Home Sheducation Centre Gabled Patios: What Are their Benefits? If you’re looking to make your residence a bit more interesting than it is right now, having a patio can be a great move on your part. After all, such structures are not only designed to improve your home, but these can significantly increase its value as well. Patios can help give your home a different “vibe” or “feel.” It can make your home more relaxing. If you are looking to have a new place for entertaining visitors or for enjoying outdoor dinners with your family, then this home improvement project is the one for you. There are two main types of patios, namely the “detached” patios and the “attached” patios. But what are they? How do they differ from each other? Detached Patios – as its name implies, this type of patio is separate or free-standing from the main structure. In other words, detached patios are not connected to the house and are built separately. 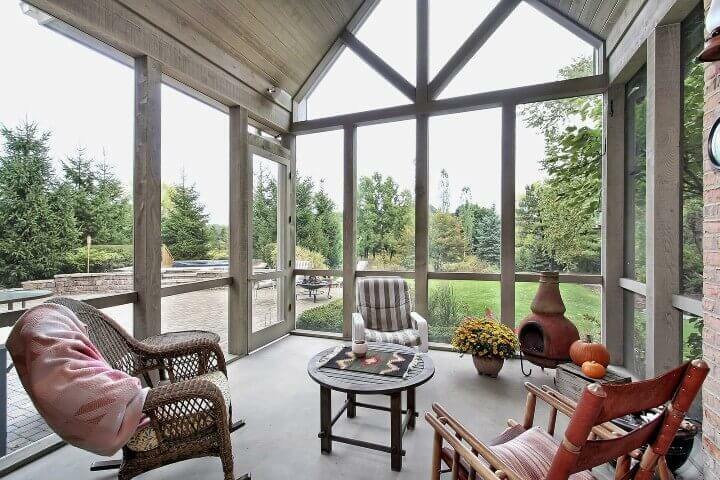 The most popular examples of detached patios are gazebos and pergolas. Gazebos are usually fully covered, with a complicated roofing structure for added efficiency. In light of such features, however, this option is more expensive compared to other patio types. On the other hand, pergolas are horizontally-structured detached patios with simpler features. These are more affordable to build compared to gazebos. However, these structures normally do not make use of covered rafters, which means they may not be able to provide optimal protection against rain, snow and the sun. Attached Patios – the main characteristic of this type of patio is that it is directly connected to a house or structure. The most common example of an attached patio is a carport. However, since conventional carports usually make use of flat roofs, these might not be able to provide you with the type of aesthetics that you may really want. Gabled patios can be used for both detached and attached patios. Accordingly, this type of patio can help enhance the beauty and usability of your entire home and its surroundings. How? Usually, gabled patios are designed with “peaked roofs” or triangle-shaped roofs, thereby allowing more protection for users. This type of patio is considered to be better compared to flat-style patios, as this can help make snow and water drainage more effective. Snow and rain can cause significant damage on roofs, most especially if these are left unattended. Due to gabled patios’ inverted-V roofing style, water and snow will simply slide down to gutters and drainage systems, consequently resulting to better overall protection. Gabled patios can also offer better cooling and ventilation, again all thanks to its special design. It provides additional space under the patio roof, which allows the efficient inflow and outflow of air and heat. Compared to other roofing styles, gabled roofs are likewise able to introduce more light into the room or structure, as the case may be. If you’re looking for a more spacious patio or carport, then gabled options would be an excellent choice. This type of patio has more headroom, which allows larger vehicles such as boats and trucks to fit in. For greater efficiency, however, it would be best if you look into your specific needs first and make the necessary adjustments. Better yet, try to measure the dimensions of your vehicle/s beforehand, in order to ensure that everything will fall into place. Compared to gazebos, pergolas and other patio types—gabled patios can bring more out of your investment. Think about it: gabled patios can help protect your home from the rain and snow, which means they can help you save money on maintenance and repairs. It can also help bring more beauty to your home. Yes, gabled patios are indeed, a very good option for those who simply want to make their homes better than they already are. Do you want to buy a gabled patio kit from a renowned company that offers beautiful and efficient garages, sheds, and patios for Perth and other areas? Call 1300 778 628.